The Apple would not have tasted so delicious to you before like this fruit collection. 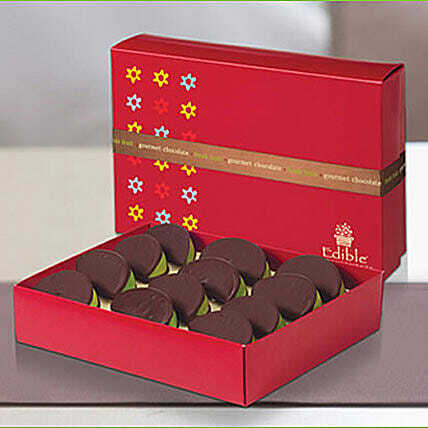 It consists of one dozen fresh granny smith Apple wedges that are hand dipped in gourmet chocolate. Gift it your special ones and share the goodness of fruits in a never seen avatar like before. The box design may vary. Since fruits are perishable in nature, attempt for delivery would be done only once. The best way to lengthen the shelf life of fruits is by storing them in the refrigerator. If they are exposed to high temperatures, the appearance and the flavor might get compromised.